During our warm summer months people come out to Clifton 4th beach to enjoy the golden sunsets, fine white sand, and windless conditions. Soon after dark the beach comes alight with the orange-yellow glow of candles, creating this, the perfect close to a hot summer day. The temperature tends to fall reasonably quickly as the sun sets and the cool ocean air moves in over the beach, and it's the strangest feeling to leave the beach and the refreshing 19°C air and walk up the many steps to the parking areas to be met with the preceding day's oven-hot air. 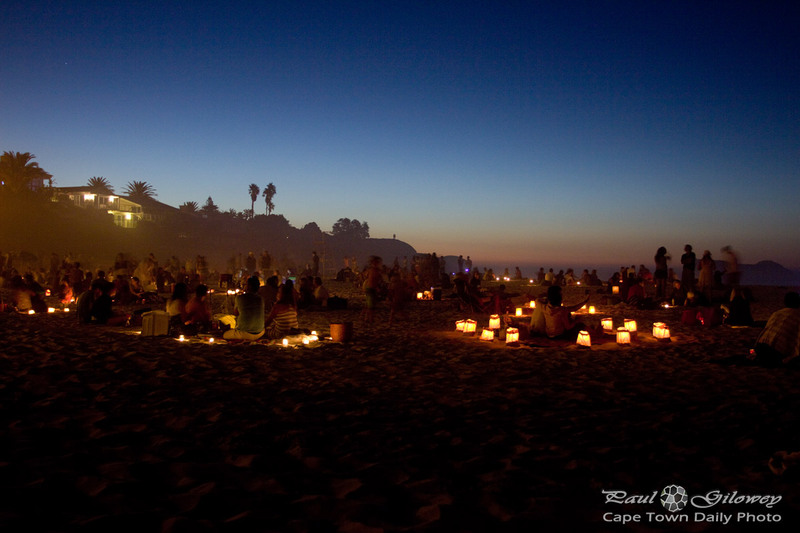 Posted in General and tagged beach, candles, clifton on Friday, 14 February, 2014 by Paul. A friend of ours brought candles and a sand castle mould along to the beach to build something pretty for his daughter (that's her in the middle of the photo) to marvel over. Isn't it awesome? It's kinda tradition that in summer folk sit on Clifton beach with candles until late in the evening. It's really beautiful and something that you should try to do if you visit Cape Town around this time of the year! 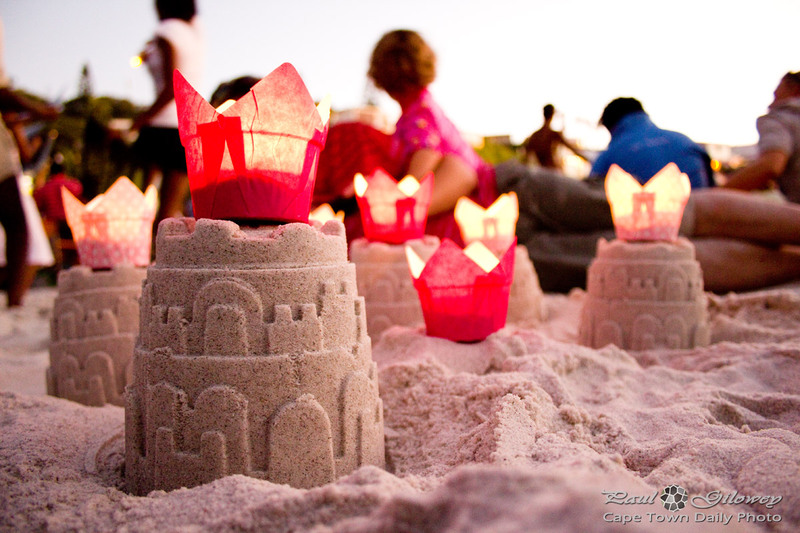 Posted in General and tagged beach, candles, castle on Friday, 24 February, 2012 by Paul.